Despite a tough start to the MIAA A Conference lacrosse season, No. 6 McDonogh, which opened the season in the second slot behind No. 1 Calvert Hall in VSN’s Boys Lacrosse Top 20 preseason rankings, was thought to have at least one significant advantage when facing the Cardinals on Friday night at Paul Angelo Russo Stadium in Towson. That’s not exactly the way it turned out. Gable Braun, thought by many to be the best FOGO in the conference, had grabbed 18 draws in a 10-8 loss to Loyola Blakefield on Tuesday and was in a prime position to give his team plenty of possessions against the Cardinals (8-1, 3-0 conference). To an extent, Braun got his share of face-offs, just not enough of them in the Cardinals’ 15-11 victory over the Eagles (6-3, 0-3) on a cold, raw evening. That’s because senior Chris Cottone and junior sidekick Tyler Dunn more than held their own, winning 14-of-29 attempts at the ‘x’ to neutralize the McDonogh star. Cottone and Dunn had plenty of help from senior midfielders Harrison Ewing and Cole Herbert, senior defenseman Luke Glagola, junior midfielders Kia Sasaki and Ray Glass and junior defenseman Shawn Barwick on the wings. “We prepared the way we would for anybody else,” Dunn said about the North Carolina commit. “When they would get momentum, we’d fight to get it back,” Cottone added. And once the Cardinal duo would gain possession, the offense knew what to do with the ball. It started when senior Calvert Hall attackman Jack Sawyer converted a feed from senior midfielder Connor Mitchell before McDonogh took its only lead of the game on back-to-back goals by senior attackman Liam Powderly and junior attackman Scott Cole. The two-time defending champs then scored five unanswered goals, including three in 45 seconds, to open the second quarter while building a 6-2 advantage with just over 10 minutes remaining in the first half. With Dunn getting on a roll in the second quarter, Calvert Hall won seven of eight face-offs in the second period. With nine assists on 15 goals, the Cardinals were looking for and finding each other with regularity. Connor Mitchell notched two goals during the 5-0 spurt while his twin, Grant, sophomore midfielder Ethan Long, and freshman attackman Truitt Sunderland added single goals. McDonogh responded quickly on a pair of goals by junior midfielder Dane Swanson and senior midfielder Riley Mitchell — the latter on a nifty shovel feed from senior attackman Matt Hilgartner — to cut the deficit to 6-4. The Cardinals, though, took an 8-4 halftime lead on goals by Connor Mitchell and Sawyer before the Eagles bounced back with scores by junior attackmen Harrison Beattie and Scott Cole. Held to an assist up to that point, Calvert Hall junior attackman Daniel Kelly then rattled off three straight goals to put the Cardinals up, 11-6, heading into the fourth quarter. Herbert and Long sandwiched goals around Kelly’s fourth tally of the night to boost the margin to 14-6 with seven minutes remaining in regulation. The Cardinals were still up, 15-7, three minutes later after Swanson and Sunderland swapped goals, but the Eagles finished the game on a 4-0 run on two goals by Swanson and one each by Beattie and Cole to make the score more respectable. The Eagles’ next challenge will be against No. 7 Boys’ Latin on Tuesday, the same day the Cardinals will face a stiff test of their own when they host a senior-laden St. Mary’s squad that is also undefeated in league play. Pictured above: Tyler Dunn (left) and Chris Cottone did some good face-off work for Calvert Hall in the Cardinals’ 15-11 verdict over McDonogh on Friday night at Paul Angelo Russo Stadium in Towson. 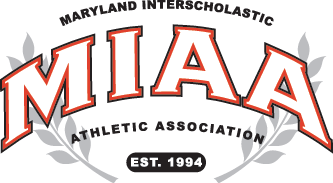 Goals: McDonogh-Dane Swanson 4, Scott Cole 3, Harrison Beattie 2, Riley Mitchell; Calvert Hall-Daniel Kelly 4, Cole Herbert, Truitt Sunderland 2, Jack Sawyer 2, Grant Mitchell 2, Connor Mitchell 2. Assists: McDonogh-Matt Hilgartner 2, Adam Lamberti, Scott Cole; Calvert Hall-Truitt Sunderland 2, Jack Sawyer 2, Grant Mitchell 2, Connor Mitchell, Cole Herbert, Daniel Kelly. Saves: McDonogh-Evan Long 7; CH-Jackson Marshall 11.